You don’t need to be a file-sharing enthusiast to be familiar with KickassTorrents (KAT). This popular website that provided a directory for torrent files and magnet links has established itself as the most visited BitTorrent directory in the world, overtaking even the juggernaut that is The Pirate Bay. Unfortunately for KickassTorrents, its rapid rise to fame was short-lived, and the website hasn’t been accessible for over two years now. There are many torrent sites that offer much of the same content that was available on KickassTorrents, and we’ve selected top 7 alternatives to KAT to help you scratch the itch that KickassTorrents’ disappearance from the scene might have given you. 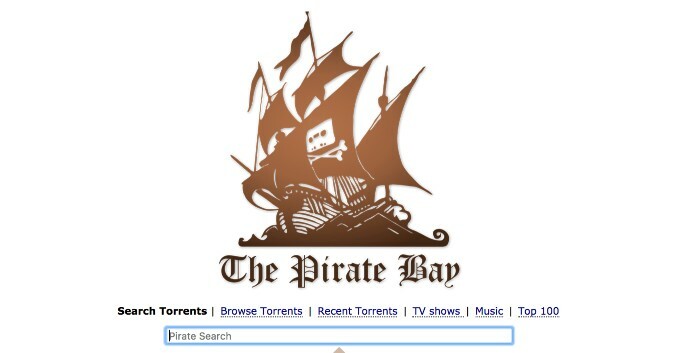 Launched in 2003 and still online, The Pirate Bay is undeniably the best-known torrent site in the world. 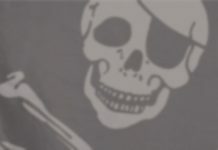 Apart from a brief period when KickassTorrents ruled the file-sharing scene, The Pirate Bay has always maintained its place as the most visited torrent site there is. Its users love it not only because of the massive collection of digital content it offers but also because of its founders, who frequently express concerns over issues of centralization of power and are vocal advocates for digital freedom. The Pirate Bay has a simple layout that has a lot in common with Google Search. You can search for torrent by name, browse torrents by category, or display the top 100 most downloaded torrents. To help support the site, The Pirate Bay runs a crypto mining script on its website, using its visitors’ CPU power to mine Monero (XMR), an open-source cryptocurrency that focuses on fungibility and decentralization. Although you can block the script using an adblocker, you should consider letting it run to support the site. KickassTorrents was known for its large collection of torrents of all categories. Many of the torrents that were hosted by KickassTorrents were of poor quality and some even contained malware. That’s why a good chunk of file-sharing enthusiasts has always preferred RARBG, a torrent index and magnet links provider founded in 2008. RARBG offers a much more curated experience than KickassTorrents ever did. It focuses mainly on movies and TV shows, but the site also has categories for games, music, software, adult content, and torrents that don’t fall under any of the aforementioned categories. Apart from a one week in 2008, when RARBG closed due to legal pressure from BREIN, the site has been available without any major interruption, which is something that most other torrent trackers can’t say. You’d be hard-pressed to find a better-looking KickassTorrents alternative than 1337x. As of 2018, 1337x is the third most popular torrent site on the internet, and its attractive design certainly has something to do with it. Being a general public torrent tracker, 1337x doesn’t specialize in any particular content. The site has everything from movies to games to music to applications. Perhaps because 1337x feels so cozy, its users often leave comments under the content they download, sometimes discussing its quality and sometimes warning other users about malware. Most torrents on 1337x are accompanied by a description and cover, so it’s easy to pick something interesting even if you don’t know what you’re actually looking for. Zooqle is an emerging torrent tracker and a fantastic KickassTorrents alternative. Even though the site has over 3.5 million verified torrents, with almost 2,000 torrents being added every day, Zooqle has so far attracted fairly little mainstream attention. That’s probably why it has been able to use a .com domain name. But even if that changes in the future, Zooqle already has a couple of alternative domains ready. To get the best Zooqle experience, you should create a user account, which will allow you to set up subscriptions and RSS feeds. That way, you will be able to, for example, receive an alert as soon as a new episode of your favorite TV show becomes available. Torrentz2 is a different kind of torrent site than KickassTorrents. It’s a torrent search engine which combines millions of search results from various torrent sites, including many of those listed in this article. This makes Torrentz2 great for finding less popular content that may only be available on a single torrent site. The only problem is that the quality of the torrents found by Torrentz2 isn’t guaranteed. Because the search results are not curated, torrents that would instantly get reported on other torrents sites are sometimes listed right along legitimate torrents, which means you need to be extra cautious about what you click on. The original ExtraTorrent was a popular torrent site, much like KickassTorrents. In November 2016, it even became the world’s second-largest torrent site, but it got voluntarily shut down by its owners not even a year after it had reached the height of its popularity. What you can access today are various ExtraTorrent mirrors. One such mirror is https://extratorrent.si/, which, according to the ExtraTorrent IRC Channel, is the only ExtraTorrent mirror that is run by the moderators of the original site. Some ExtraTorrent mirrors have been found to mine cryptocurrencies or distribute malware, so we recommend you stick to extratorrent.si to stay safe. The last KickassTorrents alternative we want to mention is LimeTorrents. 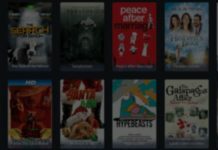 Launched in 2009, LimeTorrents is another veteran of the public torrent scene, offering a large selection of movies, TV shows, music, games, apps, anime, and other content. Although the main search page of LimeTorrents looks undeniably attractive, the age of the site becomes apparent once you perform a search or click on a torrent. Despite its lack of polish, LimeTorrents remains a reliable source of content, and we can only hope that it will remain available for another decade. Why Is KickassTorrents Not Working? KickassTorrents first went online in November 2008. 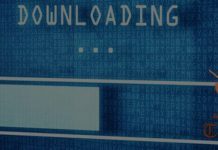 The site, which was originally available at the domain name kickasstorrents.com, went largely unnoticed by the authorities until a series of domain name seizures by the United States Department of Justice was launched against several other torrent sites. As a pre-emptive measure, KickassTorrents decided to move to the Philippines domain name kat.ph. The site’s operators later purchased several other domain names in various countries around the world and periodically switched between them to keep the authorities on their toes. The first sign of the things to come was the 2013 order by the High Court in London to block access to KickassTorrents, as well as two other torrent sites. Just a few months after the order, the Motion Picture Association of America (MPAA), an American trade association representing the six major film studios of Hollywood, requested Google to delist KickassTorrents from its search engine. What followed were three years of cat and mouse games with the authorities and domain name changes so frequent that even regular users struggled to keep up. On 20 July 2016, everything came to a sudden and rather unexpected conclusion when the United States Department of Justice announced that it had seized the main domain of KickassTorrents and had identified the owner of the site, Artem Vaulin. Shortly after, Artem Vaulin, a 30-year-old Ukrainian man, was arrested in Poland on behalf of U.S. authorities, where he’s now facing years in prison. What’s interesting is that the person who led the investigation against Vaulin has also led the investigation against Ross Ulbricht, the creator and operator of the Silk Road darknet marketplace. KickassTorrents is no longer with us, but there’s no shortage of excellent KickassTorrents alternatives that offer the same or even greater selection of torrents. In this article, we’ve selected top 7 best KickassTorrents alternatives in 2018, but there are many more out there. Just keep in mind that not all torrent sites are as trustworthy as KickassTorrents used to be, so you might be better off using only those listed here.